Harbinger is the fourth of New Zealand author Philippa Ballantine’s Books of the Order, and it carries on the tale of Deacon Faris as the plot building up in the last three books comes to a head. Lots of action, deep characters, and one of the more interesting and unique magic systems I’ve seen in awhile make this a fantastic addition to a pretty solid series. Spoilers for the previous books are in the publisher blurb below the cut, so if you’ve yet to read any of these books, click at your own risk! I’m never sure how to review late books in a series. You’ve presumably already read the other three if you clicked past the spoiler warning, so I don’t need to go back and do any background. But maybe you haven’t, and jumping right in is just going to confuse you. In any event, I really can’t review a book like this without spending at least a little time talking about the magic system. The primary conceit of this world and the series is that there is a spirit world called The Otherside. Various spirits of the dead end up there, but it also appears to have its own natives. Pretty much everything over there is unpleasant and going to mess you up if it gets properly into the physical world. 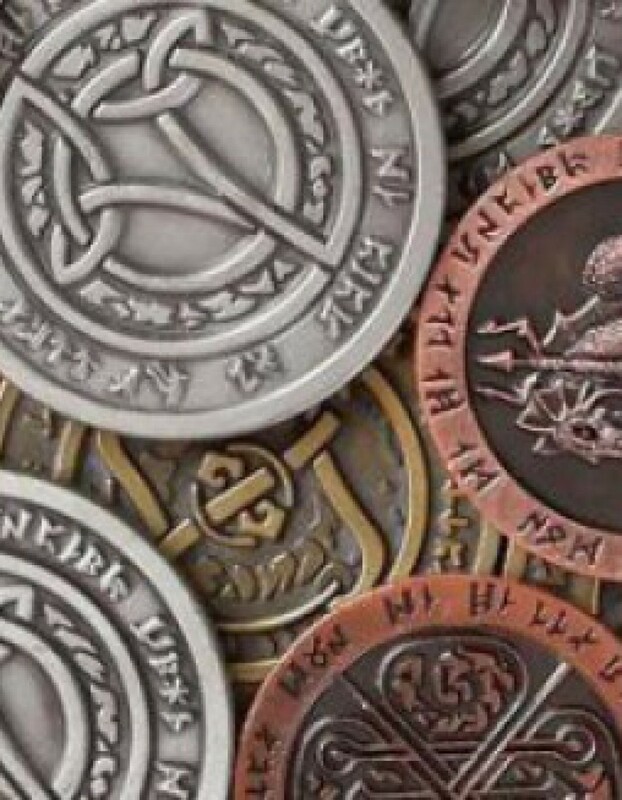 To deal with them, the Deacons use a rune-based magic system that I find pretty cool. Each rune has one single purpose, and generally each type of spirit is dealt with in a fairly similar manner, but you can see at least a little innovation in rune use in the more tense moments. I think the aspect I like the most about the system is that it is both simple, as each rune has a single function that is comprehensible and consistent, and also has some depth to it, as what Deacons can do with a given rune depends on their strength and training. It is very tempting when designing a magic system (and I’ve tried on more than one occasion) to try and lock it down in extremely strict rules, which can get boring, or try to make it too broad, which just leaves the temptation for ‘a wizard did it’ plot hole fill-ins. Philippa Ballantine does a great job here of striking that balance between rules and freedom. Another thing I enjoy about this book and this series is the portrayal of Deacon Faris herself. I’ve read a lot of books with a ‘strong female protagonist’ who nevertheless seems to crumble into uselessness at the first sign of trouble until her big burly man comes and saves her. While Sorcha does have a big burly man hanging about, and she does occasionally have her moments of weakness and despair, they are all perfectly reasonable times to be weak and desperate, and anybody would feel that way. But rather than wait for rescue, she just pulls herself together, and gets things done. At least half the time, her man is the one who needs saving in the first place to put her in this situation. It is refreshing to see a character who is allowed to be human and to feel emotions and express them, without that automatically defining them as a ‘weak’ character. One thing that did bug me a little in this book is the big reveal of Deacon Merrick Chambers’ super ultimate power. So with this system of magic, the Sensitives (of which Deacon Chambers is one) have seven ‘Runes of Sight’ of which the final, Ticat, is ‘for the final moment.’ A huge deal is made of this across several books. What exactly Ticat does is kept a highly guarded secret among the Sensitives, and a few times in Merrick’s inner monologue he makes reference to the fact that he might need to use this rune, and what a serious business it is. Well, he does go ahead and use the rune Ticat in this book, and yeah, it was important, it was significant, but it was a pretty big let-down after all the build up. That’s not to say it ruined the book or anything. I still thoroughly enjoyed the read, and the resolution of a story I’ve been having fun with through three previous books. If you’ve read and enjoyed the previous Book of the Order novels (Geist, Spectyr and Wrayth) you’ll enjoy Harbinger. If you’re looking for more interesting magic systems with solid female characters, you should also check out Gail Z. Martin’s Chronicles of the Necromancer (Beginning with The Summoner), and Rowena Cory Daniells’ The Outcast Chronicles (Beginning with Besieged).